OCAD University has been awarded $1 million from the Government of Canada through the Canada 150 Community Infrastructure Program (through Federal Development Agency for Southern Ontario), toward its $3 million project to refurbish its historic property: the George Reid House. George Reid House is the original 1921 campus building of the Ontario College of Art (OCA), as it was known then, the first building in Canada built specifically for the purpose of the education of professional artists and designers. The building was designed by painter George Reid, an alumnus who was principal of OCA at the time, alongside vice-principal, Arthur Lismer (member of the Group of Seven). The refurbishment includes the creation of new event and meeting spaces, an enhanced space through the hallway that will allow for interpretive displays, and restoration of the west side portico. As part of Canada’s national celebration, OCAD University is gifting the renamed Canada 150 Portico as an acknowledgement of Canada’s history, and a symbol of the importance of the institution in Canadian history and culture. 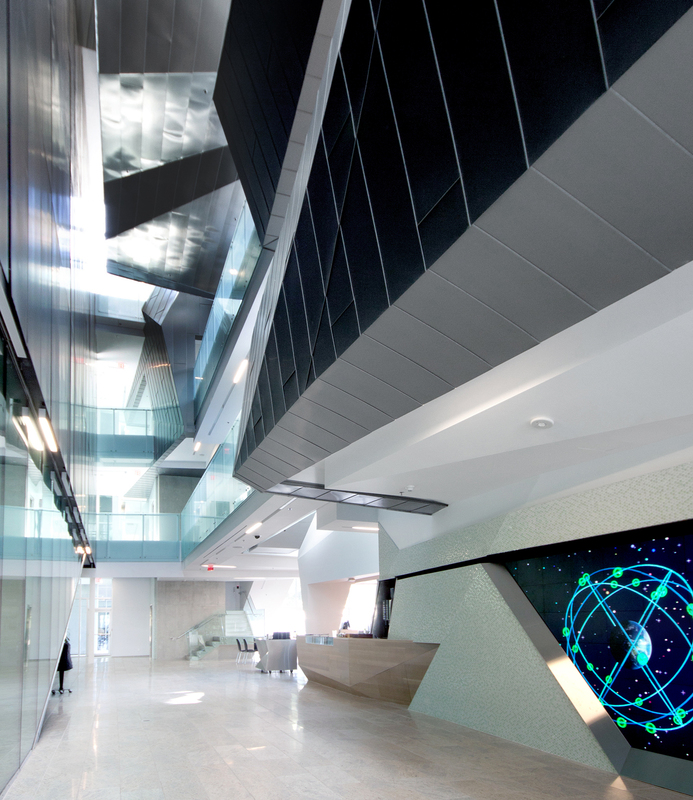 The building’s refurbishment is part of OCAD University’s larger, Creative City Campus revitalization project. The project boldly re-imagines the use of space to expand studio-based and experiential learning, upgrade learning-and-teaching technology, intensify research capacity and nurture innovation-minded thinkers and makers. 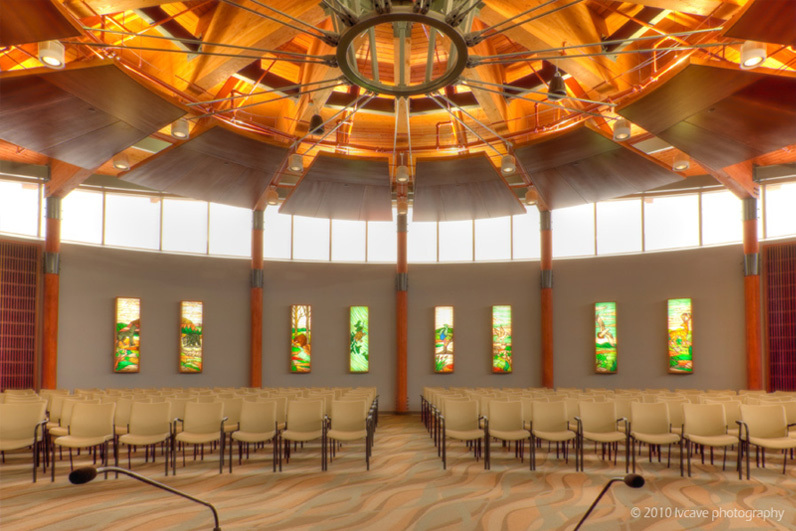 The renewed building will include a public land acknowledgement to recognize the ancestral territory on which the building stands, honouring the university’s commitment to Indigenous learning. “Having played a role in initiating the revitalization of Grange Park, it gives me enormous pleasure to announce funding for the restoration of George Reid House as part of our government’s celebration of Canada 150 and support for OCAD University. I am proud to see my community and Toronto benefit from this program,” said Adam Vaughan, M.P. Spadina – Fort York. OCAD U’s continuous evolution is based on the belief that creativity serves a vital function in society, and that imaginations have the unique power to develop real-world solutions to improve and transform lives. These latest developments will ensure students and faculty continue to have the ability to leverage the power of art, design and digital innovation to change the world for the better. This is a great opportunity to solicit feedback from our community members, ahead of the public consultations taking place later this year. OCAD University is pleased to announce the selection of three architectural firms to lead the design and implementation of the Creative City Campus (CCC) project: Morphosis and Teeple Architects, with Two Row Architect. 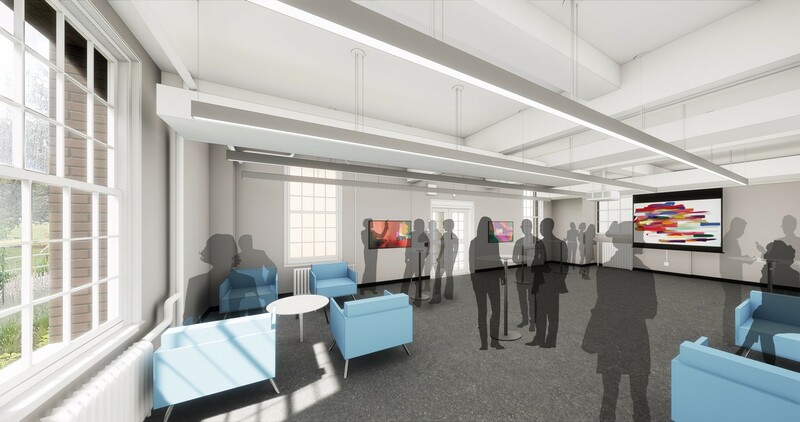 The CCC project will revitalize and expand the core of the institution’s campus along McCaul Street in Toronto, involving approximately 55,000 sq. ft. of new construction and 95,000 sq. ft. of renovation and repurposing of existing space. The two internationally-renowned lead firms, Morphosis and Teeple Architects, have previously collaborated over the years, sharing ideas and research. They will work with Two Row Architect, a 100 per cent native-owned and operated firm on the Six Nations in Southern Ontario, to create the Indigenous Visual Culture and Student Centre and to ensure that Indigeneity is embedded successfully throughout the project. 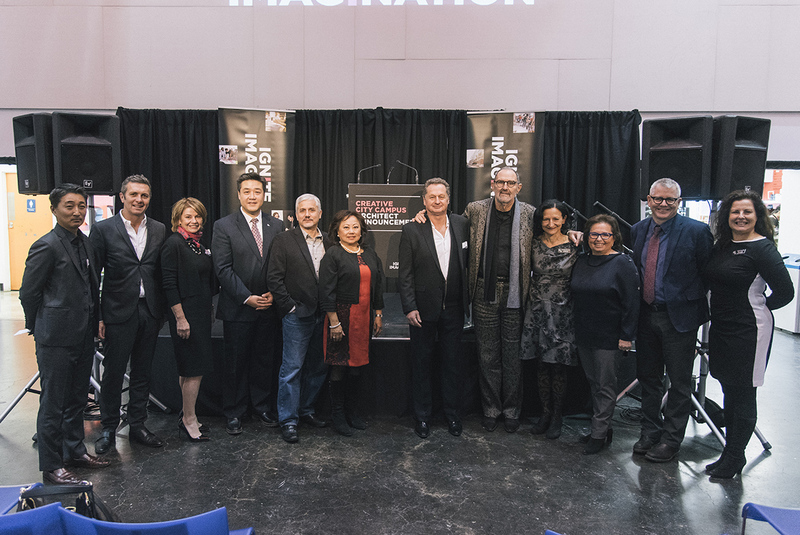 In spring 2016, OCAD U received a $27-million investment from the Ministry of Training, Colleges and Universities for the Creative City Campus project. 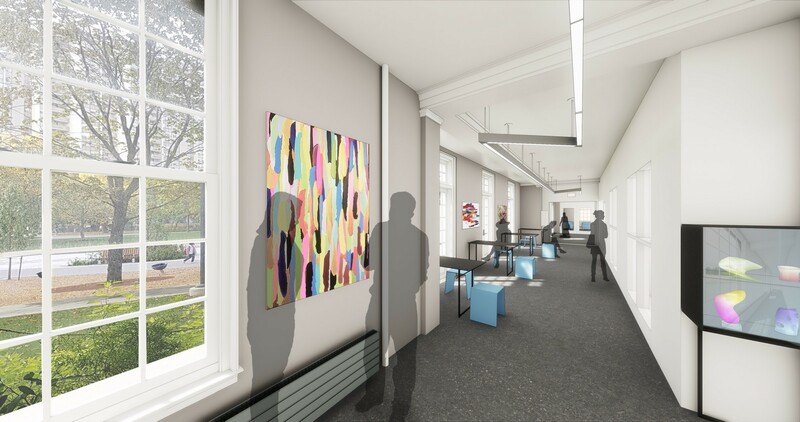 “The Ontario government is proud to support this renewal project, which will provide OCAD U students with vastly expanded and improved learning facilities,” said Han Dong, Member of Provincial Parliament, Trinity-Spadina. Leading edge media, technology and state-of-the-art digital fabrication will be integrated throughout the facility to enable pedagogy, as well as social interaction and new ways of thinking, making and doing. The Globe and Mail covered the announcement. Below, Left to right: Ung-Joo Scott Lee, architect Mark Robert, OCAD U board member Helen Kearns, MPP Han Dong, architect Brian Porter, OCAD U board Vice Chair Sharifa Khan, architect Stephen Teeple, architect Thom Mayne, OCADU President Sara Diamond, Ignite Imagination Campaign chair Leslie Gales, MP Adam Vaughan and OCAD U VP, Advancement Carole Beaulieu.